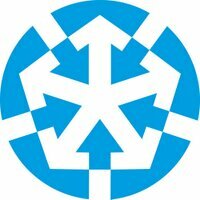 The BDI (@Der_BDI) is the umbrella organisation of German industry and industry-related service providers. The association conveys the interests of its members to politicians and describes itself as the voice of industry in Germany. As a lobbyist for German industry, the BDI wants to inform the public about its views on economic matters. By creating awareness of these topics, it aims to initiate debates within the general public. 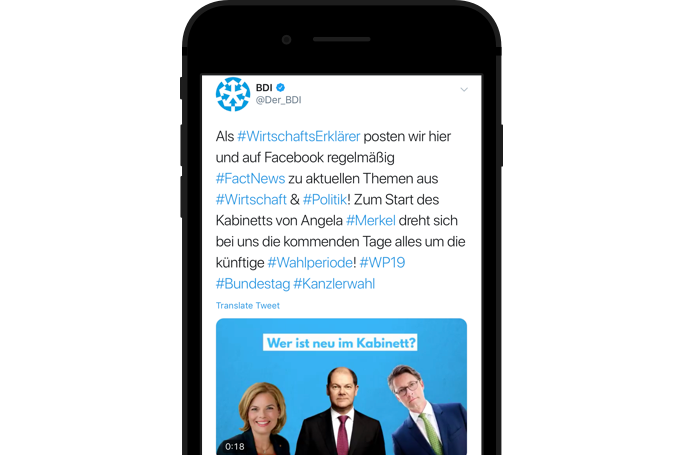 A Twitter campaign enabled the BDI to quickly share content and data with relevant target audiences and to have a direct influence on political debates. The BDI’s general target audience is members of the public that are interested in politics. When discussing a specific topic, it can also target influencers in areas such as politics, economics, and the media. Because of the auction system, the prices for Twitter Ads objectives may change over time. The BDI noticed that the costs for Twitter impressions (measured in cost-per-thousand impressions or CPM) fell a lot during its campaigns. So, it decided to set an overall budget for each campaign, and let the campaigns run until the budgets were used up. Twitter Ads offers a wide range of targeting options to focus on various audiences, so it can pay to test different strategies. The BDI found that the relevant keywords for specific events were very popular, and relatively expensive. A cost-effective strategy in this case was to also target the followers of the speakers at these events. Twitter provides a great opportunity to focus on clearly defined target audiences. 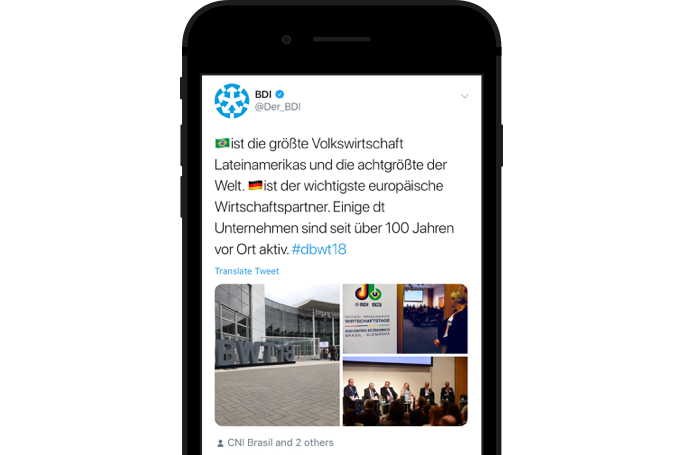 For example, the BDI created special Twitter content with images, facts, and figures related to the German-Brazilian Business Forum. It could then direct this content specifically to the Brazilian community in Germany.